In August 1974, just as the Watergate scandal was approaching its climax with the announcement that President Richard Nixon would resign, a very different news story was competing for headlines. To the astonishment of onlookers – and that of the world at large – French high-wire artist Philippe Petit succeeded in walking across an improvised tightrope strung between the twin towers of New York’s World Trade Centre. The circumstances surrounding the 24-year-old’s signature achievement, which he aptly dubbed his “coup”, were recounted in Petit’s 2002 memoir, To Reach the Clouds. 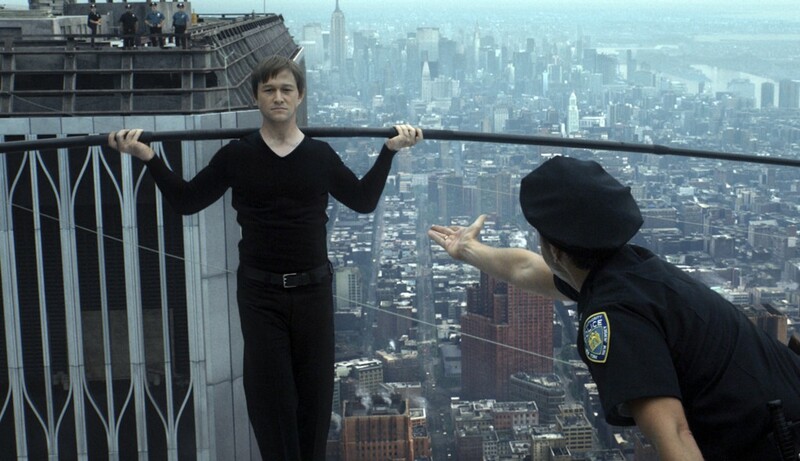 Having previously provided the basis for filmmaker James Marsh’s highly regarded 2008 documentary, Man on Wire, Petit’s book has now been charmingly dramatised as The Walk. Joseph Gordon-Levitt plays Petit, serving as both protagonist and narrator. In both capacities – for the latter purpose, he’s perched high above the city’s harbour on the torch-bearing arm of Lady Liberty – Gordon-Levitt draws viewers in with a charismatic combination of Gallic verve and Gotham-style gumption. As the generally light-hearted narrative makes clear, that unusual combination of qualities was exactly what Petit would need to pull off his mad scheme. He would also benefit from the physical and psychological training – as well as the show-biz spiritual inspiration – supplied by his mentor, veteran circus performer “Papa” Rudy Omankowsky (Ben Kingsley). Further support takes shape as Petit assembles an unlikely crew of co-conspirators to aid him in his secretive preparations. They include his live-in girlfriend Annie (Charlotte Le Bon), Jean-Louis (Clement Sibony), a photographer intent on documenting Petit’s feat, and Jean-Francois, aka “Jeff” (Cesar Domboy), a laid-back hippie whose enthusiasm for Petit’s project is somewhat undercut by his fear of heights. Once Petit reaches New York itself, fast-talking Franco-American salesman Jean-Pierre (James Badge Dale) also joins the team, adding local savvy to the mix. As Petit finally gets the chance to make his journey across the void, director and co-writer Robert Zemeckis marshals dazzling 3D special effects to convey the acrobat’s giddy experience with almost overwhelming immediacy. While these scenes will likely thrill many grown-ups, they may leave others feeling unsettled, if not downright queasy. Recommendation for younger moviegoers, however, is hindered by the un-vowed amour Petit and Annie share as well as by the script’s comic treatment of pot smoking. Though the later activity is shown to hobble the usefulness of two minor participants in Petit’s audacious plan, it’s otherwise portrayed as a harmless target for laughs. As for a quirky interlude during which Petit briefly strips down to facilitate his pre-dawn search for the cable he’s about to traverse, it’s completely removed from any sexual context, discreetly dealt with, and – apparently – true to the facts.